Motor start capacitor, 36-43uF, 330VAC, Ф37x70mm, leads6.3x0.8mm Starting capacitor for electric motors with rated capacity from 36 to 43 uF, rated voltage 330 VAC and operating temperature 65 °C. Motor start capacitor, 53-64uF, 330VAC, Ф41x98mm, with cable Starting capacitor for electric motors with rated capacity from 56 to 64 uF, rated voltage 330 VAC, operating temperature 65 °C and cable leads. Motor start capacitor, 88-106uF, 330VAC, Ф37x72mm, 6.8x0.8mm connectors Starting capacitor for electric motors with rated capacity from 88 to 106 uF, rated voltage 330 VAC and operating temperature 65 °C. Motor start capacitor, 88-106uF, 330VAC, Ф41x98mm, with cable Starting capacitor for electric motors with rated capacity from 88 to 106 uF, rated voltage 330 VAC, operating temperature 65 °C and cable leads. Motor start capacitor, 108-130uF, 330VAC, Ф37x72mm, 6.8x0.8mm connectors Starting capacitor for electric motors with rated capacity from 108 to 130 uF, rated voltage 330 VAC and operating temperature 65 °C. 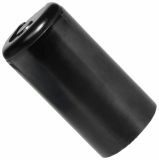 Motor start capacitor, 130-156uF, 330VAC, Ф37x86mm, 6.8x0.8mm connector Starting capacitor for electric motors with rated capacity from 130 to 156 uF, rated voltage 330 VAC and operating temperature 65 °C. List Price 6.90лв. VAT Incl. 6.56лв. VAT Incl. 6.21лв. VAT Incl. 5.87лв. VAT Incl. Motor start capacitor, 161-193uF, 330VAC, Ф47x86mm, 6.8x0.8mm connector Starting capacitor for electric motors with rated capacity from 161 to 193 uF, rated voltage 330 VAC and operating temperature 65 °C. List Price 7.20лв. VAT Incl. 6.83лв. VAT Incl. 6.48лв. VAT Incl. 6.11лв. VAT Incl. Motor start capacitor, 216-259uF, 330VAC, Ф47x87mm, 6.8x0.8mm connectors Starting capacitor for electric motors with rated capacity from 216 to 259 uF, rated voltage 330 VAC and operating temperature 65 °C. List Price 7.50лв. VAT Incl. 7.13лв. VAT Incl. 6.75лв. VAT Incl. 6.38лв. VAT Incl. Motor start capacitor, 30uF, 250VAC, Ф40x105mm, cables Starting capacitor for electric motors with rated capacity 30 uF, rated voltage 250 VAC and operating temperature 85 °C. Motor start capacitor, 53-64uF, 330VAC, Ф37x72mm, 6.8x0.8mm connectors Starting capacitor for electric motors with rated capacity from 53 to 64 uF, rated voltage 330 VAC and operating temperature 65 °C. Motor start capacitor, 130-156uF, 330VAC, Ф40x98mm, with cable Starting capacitor for electric motors with rated capacity from 130 to 156 uF, rated voltage 330 VAC, operating temperature 65 °C and cable leads. Motor start capacitor, 270-324uF, 330VAC, Ф47x113mm, 6.8x0.8mm connectors Starting capacitor for electric motors with rated capacity from 270 to 324 uF, rated voltage 330 VAC and operating temperature 65 °C. Motor starting capacitors are capacitors that are used to change the size of the current for one or more rotations of the electric motor, in order to create a rotating magnetic field which can compensate the drops in the rotation of the rotor. Starting capacitor slightly increases the starting torque of the electric motor and the circuit remains switched on until a sharp increase in the rotation speed to 3/4 of the maximum and then turns off. Vikiwat Ltd. is a direct importer of a variety of motor starting and other capacitors and offers to its customers high quality products at competitive prices. Welcome to our online store for the latest offers and models and shop from your home or office with fast delivery!